If you run a small or home based business chances are you could save yourself a lot of time and money by simplifying the shipping and mailing aspects of your business and utilizing the many online postage services that are now available to everyone. This is especially true for those home-based businesses that frequently ship out large quantities of mail or packages, such as eBay sellers. Packaging your shipments and then making runs to the post office on a daily basis can eat up your time and cost you extra money in fuel. Fortunately there is a way to simplify shipping which will not only save you valuable time but will also save you money. 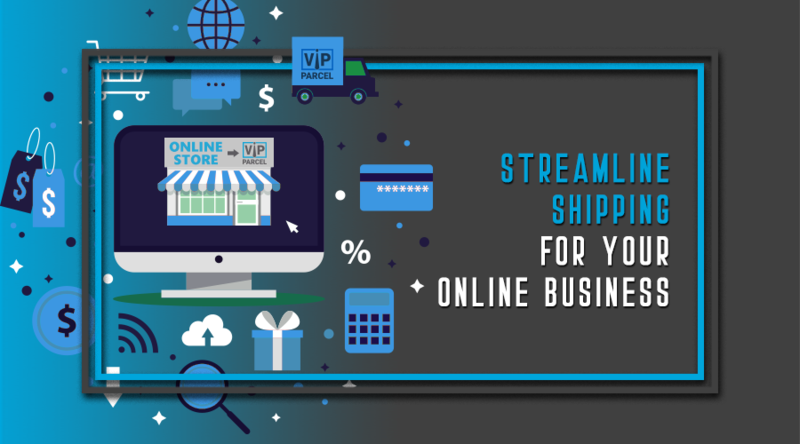 To simplify your online business' shipping needs you only have to have to find an Internet site that specializes in online shipping. In most cases, the only equipment that you will need is equipment that you already have such as your computer and a printer. The only other piece of equipment that you may find necessary is a mailing scale to help you calculate the postage of the packages that you are mailing and there are some mailing services that even provide this for free just for signing up with their service. A few of these online postage services offer a free trial and after the free trial has expired you will be charged a monthly fee to use their service. Vipparcel.com is one of the premier online postage sites as they not only offer convenient click and ship options but also great reporting that is very helpful during tax time. A couple of these services, such as eBay and Click-n-Ship do not charge an additional fee to buy postage on their site. If you choose to use Priority Mail through the USPS you will also have the advantage of free shipping supplies which include various sizes of boxes and envelopes and a host of Priority Mail Flat Rate boxes that allow you to put as much as you can into one box for a set price. You may request that these supplies be delivered to your home or office by your mail carrier. This alone can save you a lot of time and money but adding the convenience of eliminating trips to the post office really makes this option attractive. Tracking and insurance is also available through the USPS, for an extra charge. Aside from these options that provide a simplified means of using USPS for mailing packages you also have the option of using services such as UPS and Federal Express to ship your items. With these shipping services you can arrange to have your packages picked up from your home or business location, which saves you a great deal of time running your packages to drop off locations. Additional advantages to these shipping companies include the insurance which is built into the USPS shipping price as well as the tracking service that are provided by both companies. Businesses of the 21st century can improve their shipping practices by taking advantage of what today's technology offers and that is an easier method to mail packages to your customers. Online postage is the way all businesses, large and small, will be handling shipping going forward so check out the deals online and find out how easy and streamlined handling your mail can really be.